Below is my regime in a nutshell. I find it easy to follow & it keeps me at a healthy & good looking weight. I dont see it as a diet, it’s more of a lifestyle, which is important as diets never last. We all know how to eat healthily it’s just finding a way that works for you. I have found the regime above takes minimal effort. Last edited by twitchy2.0; October 23rd, 2014 at 01:05 PM. 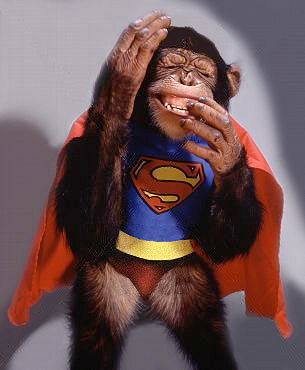 I prefer 10% chimp super tea over purechimp. Will this be a problem? Can I add rum in my water? I'm a vegatarian. What tea will help me? BoogsBun and I'mNotBitter like this. I have never heard of that tea but I don't think I want to know it. Anyway, since I have started my fulltime job I have gained some weight and I really have to get rid of that. Red Rose Broccoli and Bean Sprout bags. Not a problem. In fact, you should NEVER go "full chimp". You could even dilute it further and make homeopathic chimp. SPAM super tea? How is it made? i can help. I'm not certified as a Fitness instructor, but have been reading and working out for quite sometime (though I eat fries and drink beer) if you want an online resource. Happy to discuss with you if you'd like via PM if you want to go that way instead of relying on resources where you are IRL. what did the OP say to make Twitchy edit? Would it have been something about "full chimp?" Didn't see the thread before its edit and wondered about the chimp talk. It's spam for something called pure chimp but I don't know what it is because fucked if I'm clicking the link. It's either tea you rub on your skin or face cream you drink. Or something. I am boiling Spam right now to make tea. Bombshell, Mrs P, Brookie and 7 others like this.